Women in Translation Month is almost over, but we couldn’t let it pass without celebrating the woman whose shadow looms large over our catalogue, and the women and men who have translated her work: Selma Lagerlöf. A Manor House Tale: a psychological novella and a folk tale in which two young and damaged people redeem each other. Banished: infused with the visceral horrors of the First World War, Banished is a tale of love, loneliness, and the extremes of human morality. Read an extract here. The Emperor of Portugallia: A compelling exploration of father-daughter relationships and of madness. The Phantom Carriage: an atmospheric ghost story and a cautionary tale of the effects of tuberculosis and alcoholism, famously adapted to film by the great Swedish director Victor Sjöström. Lord Arne’s Silver: from a 16th-century killing unfolds a tale of retribution, love and betrayal. Mårbacka: part memoir, part mischievous satire set on Lagerlöf’s childhood estate. Read an extract from Mårbacka in English here. The Löwensköld Trilogy: Lagerlöf’s last work of fiction, the trilogy follows several generations of a cursed family and explores destiny, evil, motherhood, and many other themes along the way. The trilogy consists of three volumes: The Löwensköld Ring, Charlotte Löwensköld, and Anna Svärd. The internationally beloved tale of a boy and his goose, Nils Holgersson’s Wonderful Journey through Sweden, Volume 1 and Volume 2 (Nils Holgersson is also available in a single-volume hardback collector’s edition). Purchased individually, all eleven paperbacks (including the two paperback volumes of Nils Holgersson) cost a total of £135 (plus P&P). Until 14 September 2018, we are offering a limited number of complete sets of eleven paperbacks at the discounted price of £100 (plus P&P). This special price is only available on orders placed directly with Norvik Press, not through book stores or online. Please email norvik.press@ucl.ac.uk to place your order. First come, first served – available only while stocks last! In June 2011, Norvik Press published Lord Arne’s Silver, The Phantom Carriage and The Löwensköld Ring, three short novels by the world-renowned author Selma Lagerlöf. It was the start of an exciting and, for us, very gratifying project – the Lagerlöf in English Series – which has turned into twelve books so far. The translations are done by Linda Schenck, Peter Graves and Sarah Death, all experienced and prize-winning translators from Swedish to English. In addition to the substantial job of translating a Nobel Prize winner, Schenck, Graves and Death have also contributed with their own translators’ afterwords in their respective translations. These chapters make for an intriguing read about different aspects of translating each particular book and give in-depth information about Lagerlöf’s work. Furthermore, each book is introduced by an exciting and informative preface written by the late Helena Forsås-Scott, the pioneering mind behind the series. You can download a brochure and find more information about the series on our website. What happens to an individual who is rejected by society? What happens to a society that eventually realises the living are more important than the dead, and that it is suffering a crisis of values and priorities? What does war do to us and to our outlook on the world? Selma Lagerlöf struggled with these issues throughout World War I and experienced a mental block in writing about them. Then she found an opening and produced a thought-provoking tale of love, death and survival that grapples with moral dilemmas as relevant today as they were a century ago. For poverty-stricken farm labourer Jan, the birth of his daughter Klara gives life a new meaning; his devotion to her develops into an obsession that excludes all else. We are taken from the miracle of a new-born child and a father’s love for his baby girl into a fantasy world emerging as a result of extreme external pressures, in which Jan creates for himself the role of Emperor of Portugallia. Yet this seemingly mad world generates surprising insights and support. Described as ‘perhaps the most private of Selma Lagerlöf’s books’, the novel takes us deep into a father-daughter relationship that carries the seeds of tragedy within it almost from the start. The property of Mårbacka in Värmland was where Selma Lagerlöf grew up, immersed in a tradition of storytelling. Financial difficulties led to the loss of the house, but Lagerlöf was later able to buy it back, rebuild it and make it the centre of her world. The book Mårbacka, the first part of a trilogy written in 1922–32, can be read as many different things: memoir, fictionalised autobiography, even part of Lagerlöf’s myth-making about her own successful career as an author. It is part social and family history, part mischievous satire in the guise of innocent, first-person child narration, part declaration of filial love. The Löwensköld Ring is the first volume of a trilogy originally published between 1925 and 1928. In addition to being a disturbing saga of revenge from beyond the grave, it is a tale of courageous, persistent women, with interesting narrative twists and a permeating sense of ambiguity. The potent ring of the title brings suffering and violent death in its wake and its spell continues from one generation to the next, as well as into the two subsequent novels in the trilogy. The Löwensköld trilogy was Lagerlöf’s last work of pure fiction, and is now considered a masterpiece. A curse rests on the Löwensköld family, as narrated in The Löwensköld Ring. Charlotte Löwensköld is the tale of the following generations, a story of psychological insight and social commentary, and of the complexities of a mother-son relationship. Charlotte is in love with Karl-Arthur – both have some Löwensköld blood. Their young love is ill-fated; each goes on to marry another. How we make our life ‘choices’ and what evil forces can be at play around us is beautifully and ironically depicted by Selma Lagerlöf, who was in her sixties when she wrote this tour de force with the lightest imaginable touch. The curse on the Löwensköld family comes to fruition in unexpected ways in this final volume of the Löwensköld cycle. Anna Svärd is also very much a novel of women’s struggle toward finding fulfilment. The Löwensköld Ring resonates with ‘beggars cannot be choosers’ in relation to what a poor woman can expect in life, while Charlotte Löwensköld moves toward women having some choices. In Anna Svärd the eponymous protagonist takes full and impressive control of her own life and destiny. The question of motherhood and the fates of the children with whom the characters engage is another theme. The reader goes on to follow Charlotte, Karl-Artur, Thea and their families, familiar from the previous volume, through this compact novel as it moves relentlessly toward a chilling dénouement. Written in 1899, Selma Lagerlöf’s novella A Manor House Tale is at one and the same time a complex psychological novel and a folk tale, a love story and a Gothic melodrama. It crosses genre boundaries and locates itself in a borderland between reality and fantasy, madness and sanity, darkness and light, possession and loss, life and death. Lagerlöf’s two young characters, Gunnar and Ingrid, the one driven to madness by the horrific death of his goats in a blizzard, the other falling into a death-like trance as a result of the absence of familial warmth, rescue each other from their psychological underworlds and return to an everyday world that is now enhanced by the victory of goodness and love. Starting life as a commissioned school reader designed to present the geography of Sweden to nine-year-olds, this absorbing tale quickly won the international fame and popularity it still enjoys over a century later. The story of the naughty boy who climbs on the gander’s back and is then carried the length of the country, learning both geography and good behaviour as he goes, has captivated adults and children alike, as well as inspiring film-makers and illustrators. The elegance of the present translation – the first full translation into English – is beautifully complemented by the illustrations specially created for the volume. Written in 1912, Selma Lagerlöf’s The Phantom Carriage is a powerful combination of ghost story and social realism, partly played out among the slums and partly in the transitional sphere between life and death. The vengeful and alcoholic David Holm is led to atonement and salvation by the love of a dying Salvation Army slum sister under the guidance of the driver of the death-cart that gathers in the souls of the dying poor. Inspired by Charles Dickens’ A Christmas Carol, The Phantom Carriage remained one of Lagerlöf’s own favourites, and Victor Sjöström’s 1920 film version of the story is one of the greatest achievements of the Swedish silent cinema. An economical and haunting tale, published in book form in 1904 and set in the sixteenth century on the snowbound west coast of Sweden, Lord Arne’s Silver is a classic from the pen of an author consummately skilled in the deployment of narrative power and ambivalence. A story of robbery and murder, retribution, love and betrayal plays out against the backdrop of the stalwart fishing community of the archipelago. Young Elsalill, sole survivor of the mass killing in the home of rich cleric Lord Arne, becomes a pawn in dangerous games both earthly and supernatural. As the deep-frozen sea stops the murderers escaping, sacrifice and atonement are the price that has to be paid. Norvik Press is pleased to announce the publication of our second instalment to Selma Lagerlöf’s Ring Trilogy, the classic novel, Charlotte Löwensköld. Translated by Linda Schenck with a preface by our Selma Lagerlöf in English Series editor, Helena Forsås-Scott and a translator’s afterword. 290 pages (paperback). A curse rests on the Löwensköld family, as narrated in the first instalment of Lagerlöf’s Ring Trilogy, The Löwensköld Ring. 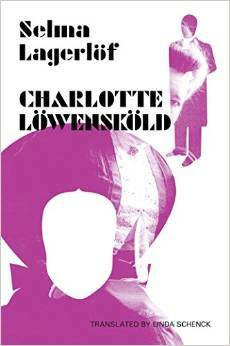 Charlotte Löwensköld is the tale of the following generations, a story of psychological insight and social commentary, and of the complexities of a mother-son relationship. Charlotte is in love with Karl-Arthur – both have some Löwensköld blood. Their young love is ill fated; each goes on to marry another. How we make our life ‘choices’ and what evil forces can be at play around us is beautifully and ironically depicted by Selma Lagerlöf, who was in her sixties when she wrote this tour de force with the lightest imaginable touch. Selma Lagerlöf was awarded the Nobel Prize in Literature in 1909. Available at all good bookstores and online.